The popular Gypsy Dome 1.5 Carat Cushion Cut Square Bezel Set Cubic Zirconia Mens Ring is bezel set in a flush mount dome style setting. 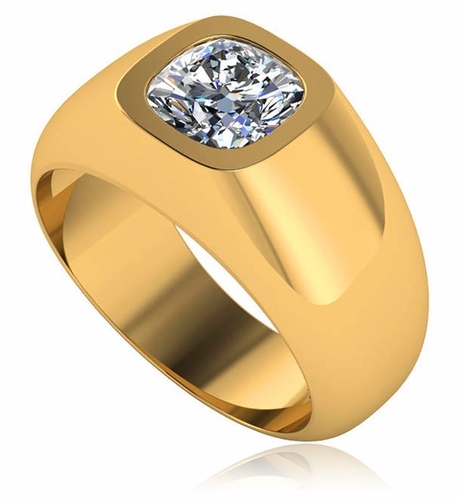 This popular mens ring is the perfect choice for a classic yet elegant style with a hand cut and hand polished original Russian formula cushion cut cubic zirconia that is hand cut and hand polished to exact diamond specifications. 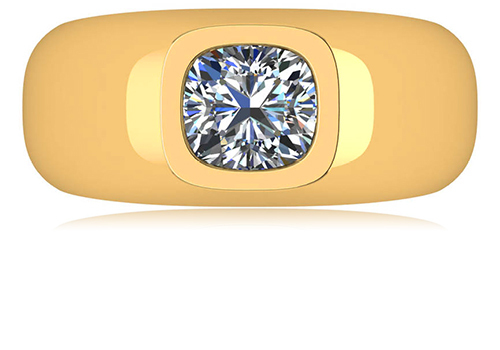 The 1.5 carat cushion cut square center stone measures 7mm x 7mm. The top of the ring measures over 11mm at its widest point and and tapers down to approximately 7mm in width at the bottom. 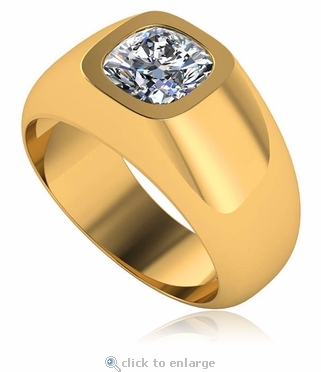 Choose from 14k white gold, 14k yellow gold or luxurious platinum. 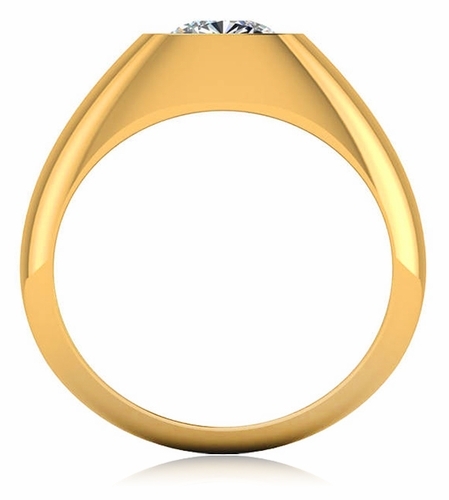 This ring is pictured in 14k yellow gold with a diamond look center stone and you also have the option of a man made red ruby, blue sapphire or green emerald in addition to a yellow canary simulated diamond, or pink simulated diamond. Available in whole and half finger sizes 9 through 13 and custom sizes are also available. For further assistance, please call us directly at 1-866-942-6663 or visit us via live chat and speak with a knowledgeable representative.